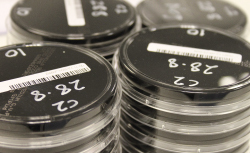 As a UKAS accredited laboratory (4236) all samples are treated with the highest laboratory standard and adherence to regulations is controlled and maintained at all times. Please see our Schedule of Accreditation for a list of analyses accredited by UKAS. 20/30 Labs are a UKAS accredited laboratory (4236), according to ISO 17025. 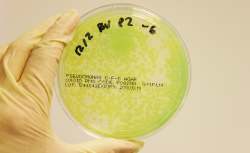 Established for over 10 years, we are a UK-based microbiology testing laboratory offering a full range of microbiological services including Hospital Analysis and Potable Water Testing, such as Legionella Testing and Pseudomonas aeruginosa Testing. 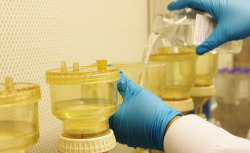 20/30 Labs are UKAS accredited to test potable water samples in accordance with the Microbiology of Drinking Water and offer a variety of analyses for customers involved in Water Management or Legionella Risk Assessment and Control. UKAS accredited for both the HTM2030 (withdrawn) and HTM 01-06 (formerly CFPP 01-06) methods for testing Total Viable Counts of Final Rinse Water, we also offer decontamination consultancy. 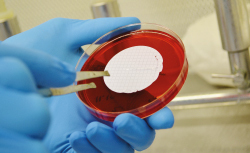 With years of experience in the decontamination industry, 20/30 Labs offer a vast range of specialist and bespoke services including the Environmental Monitoring of Cleanrooms, Bioburden and Sterility Analysis.